I’m very excited to bring you my inaugural author Q&A on the blog. 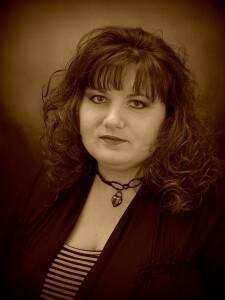 My first guest is paranormal romance writer Rachel Firasek, author of The Last Rising, Piper’s Fury, and Stone Hard Love. I’m a big fan of Rachel’s books (if my questions don’t give that away…) and recommend them to anyone looking for a dark, tempting read. In celebration of autumn, I’m offering fellow bibliophiles a chance to win a $10 Amazon gift card. Click here to enter the contest, which runs through Oct. 8, 2011. Good Luck! 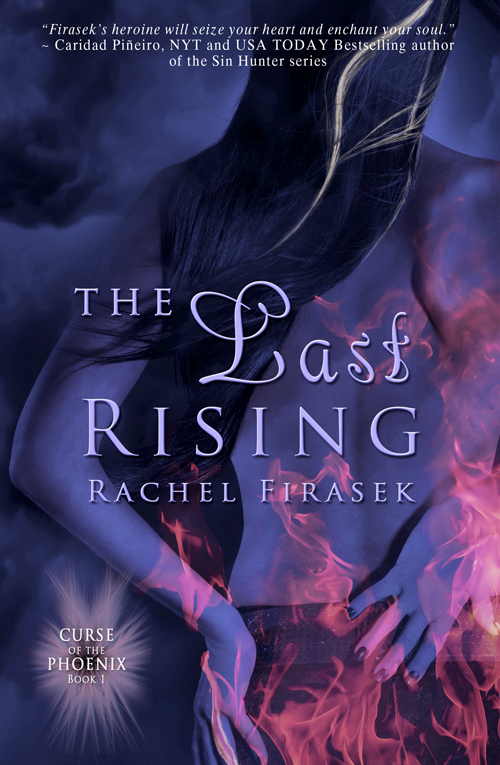 Q: Rachel, your stories offer plenty of sizzling heat, and The Last Rising is no different. What’s your secret for weaving sexual tension into a story from beginning to end? A: Wow, I wish I knew how I did it when it works. LOL. Really? I play pretend. I get into characters’ heads, shall we say. LOL. Meaning, I will walk around the house getting into my kitten mode. I’ll say lines out loud. I’ll practice on my hubs when he thinks that I’m really just looking for a make-out session. It’s really quite funny and they have all claimed that I’m quite mad. Lewis Carroll couldn’t have written a better role himself. Q: On your website, you mention that your family encouraged you to put pen to paper (or fingers to keys) and write your stories. How does your family support your writing on a day-to-day basis, and how does their support influence your writing? A: I’m so glad you asked this question. Let me tell ya! If it wasn’t for my husband and amazingly understanding kids, I would have cracked a long time ago. They forgive me for not paying attention to every conversation and when one gets mad at me for not always being the “best mom” the other will take up for me. It’s really cute. My husband doesn’t mind picking up the slack around the house and helping with the carpool. He knows my goal and how long I’ve waited for this. Recently, I surprised hubs with a big basket of candy at work. We hadn’t been communicating all that well, and I know in my heart it was because he didn’t think I appreciated him. It’s not always easy to remember to say thank you! He didn’t say “thank you” for the candy; it was my “thank you” to him. But, his “you’re welcome” totally rocked. I love that man! Q: What does the future hold in store for Ice’s fellow phoenix sisters? And what about Piper and Slade of Piper’s Fury? What should fans expect? a. The Last Awakening is coming soon, so I can’t tell you much, but Ari and Grey are going to heat up the pages. There will be a stronger paranormal element in book 2, and that’s all I’m going to say. b. Ah, Piper’s Fury. I love that book. You’ll be happy to know that the book is complete–mostly. I have a revision pass that I need to do, and then I’ll decide what will happen to that little book. I love book 2 even more that book one and I’m fondly calling it The Gypsy Triangle. c. I’m hoping for a big year next year, which means that I’ll have to get busy writing new and fresh stories, but yes, I’d like to see PF #2 release. I’d also like to find a home for a new YA that I’m working on. TOP SECRET project. LOL. I’m so glad that I was your first guest. This was fun and the questions were great. It’s fun to interview with someone that already knows your work. It always makes the questions so personal. First of all, my hubs needs a thank you. I’m glad you reminded me. Second, you say you’re planning a busy year next year as if you haven’t already had one. Get real, Rachel. You are one of the busiest bees I know!!! Congrats on your success tied to all your hard work. Brinda, you crack me up. I think you think I’m wonder woman and it’s so much more like wander woman. lol. Just can’t sit still. Thanks for coming by and for being such a great writer friend. I heart you gal! Rachel, you are definitely a busy bee! I think many creative souls are the restless sort; we always need to be busy. It doesn’t help that we have all of our characters’ chatter in our heads. But wouldn’t it be great if we could be Wonder Woman for a day? Brinda, thanks for stopping by! I’m soooooo ready for Piper’s next installment. Hurry up will ya. LOL. I’m working on it, ladies. lol. Got to get these phoenixes out of the way first. lol.